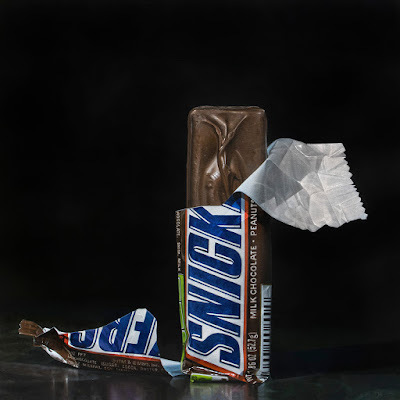 I completed my corporate commission of a Snickers bar last night. It'll be leaving here to take a place next to its brethren on a wall in the boardroom of a large printing company here in Atlanta. Now it's on to whatever is going to be next. I'm still looking at a number of compositions I'd like to do. It may have something to do with aviation.